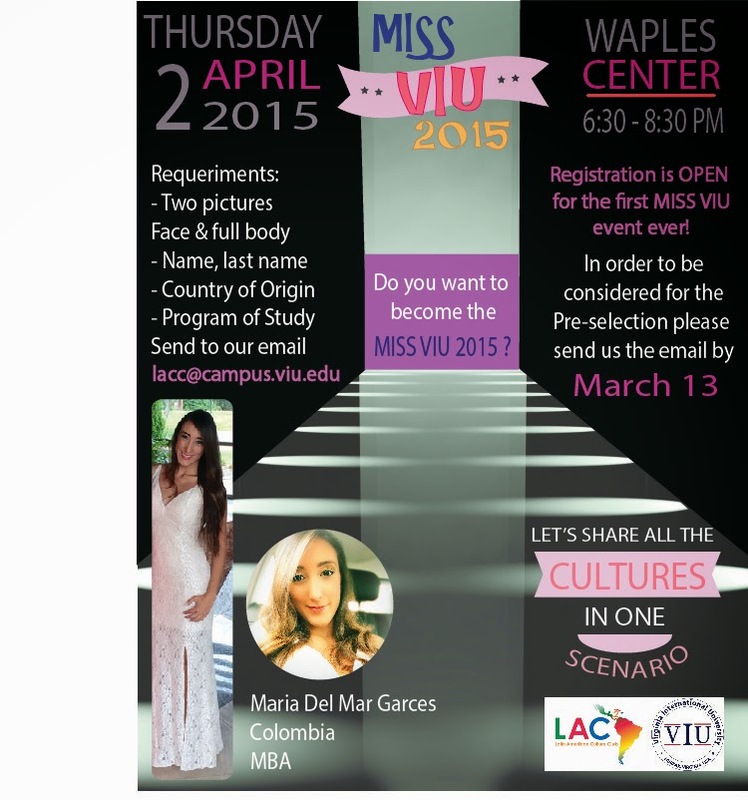 Miss VIU 2015 Registration Open! For the first time in VIU we have a Miss VIU competition. Registration is open now! In order to be consider for this competition please send us an email with two pictures (face & full body), full name, country of origin, and program of study no later than March 13th to lacc@campus.viu.edu. The main event will be April 2nd, 2015.